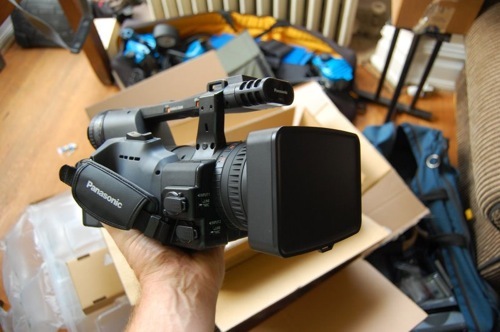 dan from dvxuser(shrigg) posted up some unboxing photos of his new panasonic hmc150. check the rest of his pics out here. and i’m really really digging this camera. it may be a step down from the HVX codec wise, but cost per GB really persuades me. not to mention better lowlight, wider lens, smaller, lighter, and of course, cheaper.